House Speaker Jose Oliva, R-Miami Lakes, says his budget priority is addressing healthcare spending, but calls expanding Medicaid the "worst of all Band-Aids." House Democratic leader Kionne McGhee, D-Miami, says expanding Medicaid is on the table. Familiar battlelines are being drawn over the biggest pieces Florida's state budget -- healthcare and education. Republicans plan on going after healthcare regulations they contend drive up the cost of care. Democrats say, after three failed attempts, Medicaid expansion returns as their priority. On education, House Democratic leader Kionne McGhee sees no need for tax increases to pay teachers more. Meantime, House Speaker Jose Oliva and Gov. Ron DeSantis want to continue cutting taxes by holding down local school district property tax rates. At stake is over $90 billion in state spending beginning in July. Beyond the next fiscal year, though, lawmakers are expected to encounter a period of slower growth, which will have consequences in how they decide to collect and spend taxpayer's money. "When we project out how expenditures are going to grow in the state budget they're growing faster than that incoming revenue to support it. We call that a structural imbalance," says Baker. If nothing changes with state tax and spending plans, her office forecasts by July 2020, state tax revenue will fall short. Healthcare consumes the biggest slice of state spending. When it comes to healthcare spending, it is all about Medicaid, a program paid for with federal and state tax dollars to provide health care for low-income people of any age. Next year, the state will spend almost $30 billion on healthcare, most of it through the Medicaid program. About 40 percent of that spending, $12 billion, will come from state revenues. 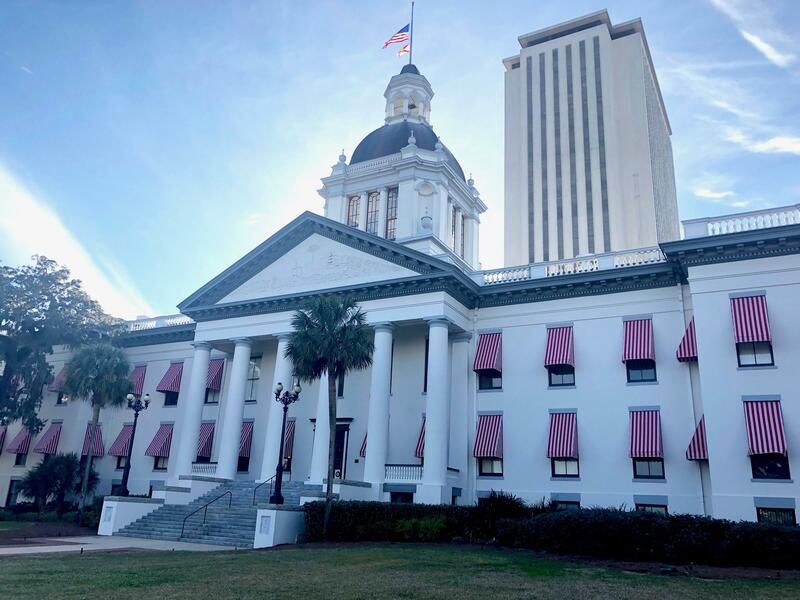 The top political leaders in the Florida House agree healthcare spending is a budget priority when the legislative session begins in a month. For House Speaker Jose Oliva (R-Miami Lakes), that means targeting the competition among providers. For Democratic Minority Leader Kionne McGhee (D-Miami), that means another effort to expand Medicaid under the Affordable Care Care. "Medicaid expansion is the worst of all Band-Aids," says Oliva. Instead, he wants to do away with the state’s certificate of need program. That program requires state approval before a hospital can open. "In healthcare, when you have a Certificate of Need monopoly in a particular area, you're the only game in town. I have to buy healthcare or the state has to reimburse for that health care. That's not exactly a choice." He has referred to the "hospital-industrial complex" in his criticism of the industry. Oliva thinks increasing the supply of healthcare will address rising prices overall, and in turn, address the increasing proportion of the state budget spent on it. McGhee calls it an "ideological tantrum." He says, "We believe our hospitals are doing the best they can do right now." He points to 20 years of Republican control of the Legislature and governor's office for not addressing escalating healthcare costs. "For [Republicans] to come in and say, 'the Certificate of Need is the issue. We have to reduce these hospital's control.' Well, what did you do over the past 20 years?" McGhee thinks the strategy would undermine public hospitals in Florida. These hospitals deliver millions of dollars of care for uninsured and underinsured residents. They also receive millions of dollars in state and local funds for the care. For McGhee, expanding Medicaid under the Affordable Care Act is the Democrat's big priority. But those efforts have failed three times in the Legislature. The last time it was tried was in 2015. "Anything's possible and everything is on the table at this moment," he said. The Florida Capitol Complex in Tallahassee. After healthcare, education is the next largest item in the state budget. K-12 schools dominate state education spending. School funding is divided between the state money and local tax dollars. The local dollars come from property taxes. Most of the money spent in schools comes from state taxes now, but it wasn’t always like that. The Legislature has been active in determining how much local property taxes school districts can collect. This shift is at the center of what Baker calls the structural imbalance in the state budget. "There's a degree of comfort that there's growth that's needed in state spending on schools, whether it comes from property taxes or general revenue. But to the extent you shift it to general revenue and away from property taxes, you are making a significant investment in that area and not having those dollars available for other things." As the housing market has rebounded, that hasn’t necessarily led to significantly higher property tax bills for school districts. Over the past several years, the Legislature has limited local school districts’ property taxes by lowering the taxable rate so the portion of a homeowner’s property tax for schools remained relatively flat even if the value of their home increased. The result is more pressure on the state budget for K-through-12 education money. Gov. Ron DeSantis' proposed budget would continue this policy. Not doing so would be a tax increase for homeowners, according to Oliva. "We don't believe that people should have their taxes raised on them simply based on market conditions," he says. "The House budget will have no tax increases." For Democrats, teacher pay is the education spending priority. McGhee plans on releasing a Democratic budget proposal. It's something that has been done in years past. It will calls for 13 percent across the board raises. He says the money is already in budget. "No, we're not going to raise taxes," he says. Instead, he does not support continuing the practice of dropping the millage rate for local school districts. "I don't believe that the state should be in the business of telling the local communities what to do."